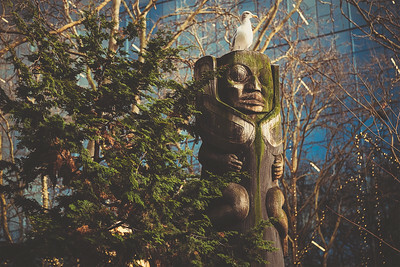 Totem pole carving with a seagull resting on top in Occidental Square, Seattle. 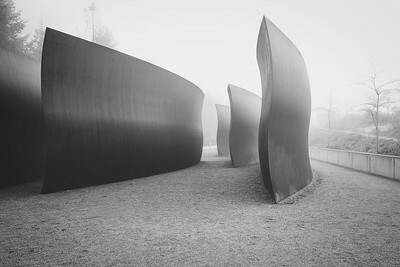 Richard Serra's metal sculpture, Wake, 2004, Seattle, Washington. 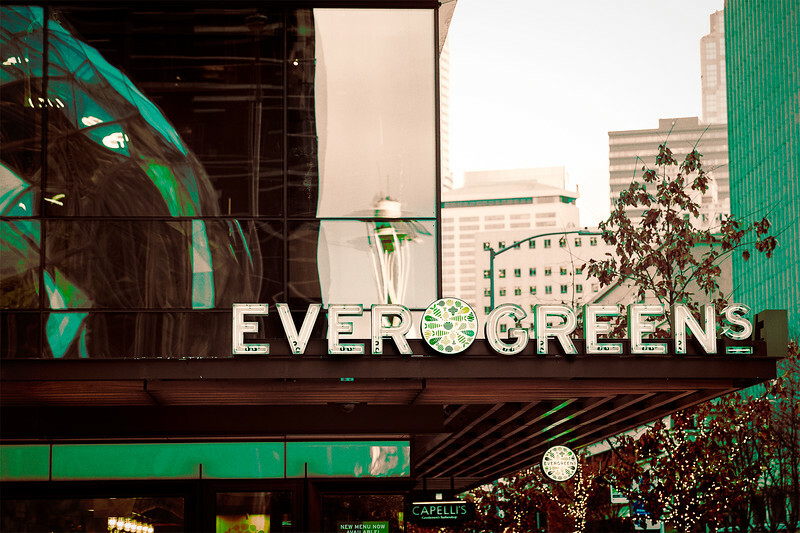 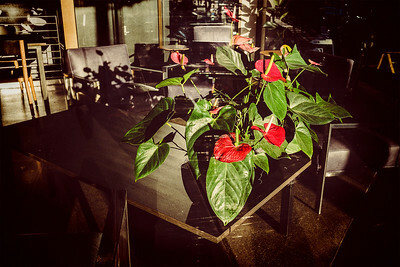 A Seattle coffee shop interior with tables, chairs and a bouquet of flowers. 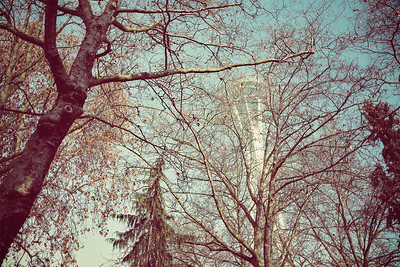 Shot from outside. 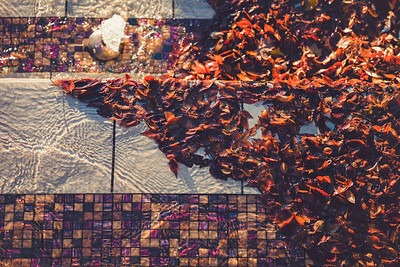 Fall leaves gathered in a water fountain at University St. and 1st Ave, across from Seattle Art Museum. 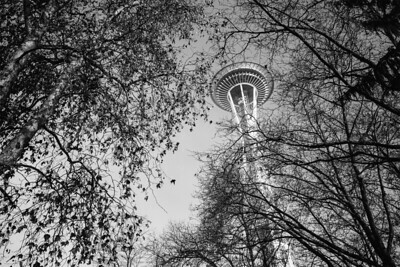 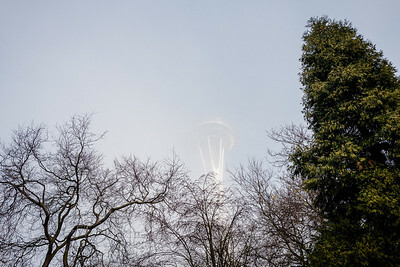 Trees beckon to a fog-shrouded Space Needle to reveal itself. 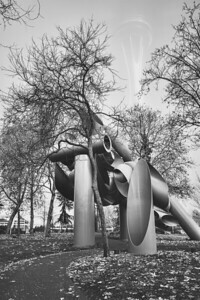 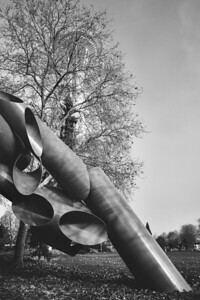 Alexander Liberman’s largest sculpture, Olympic Iliad, (1984) with a fog-shrouded Spaced Needle behind a large tree in the background. 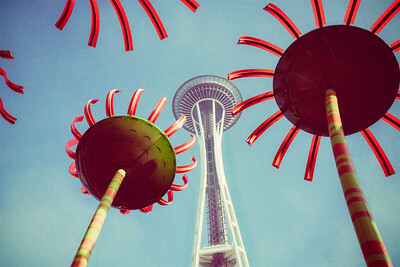 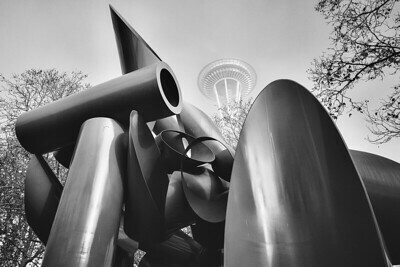 Alexander Liberman’s largest sculpture, Olympic Iliad, (1984) with a fog-shrouded Spaced Needle in the background. 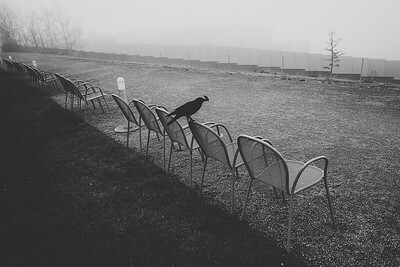 A crow with a treat in its beak perches on a chair at Olympic Sculpture Park. 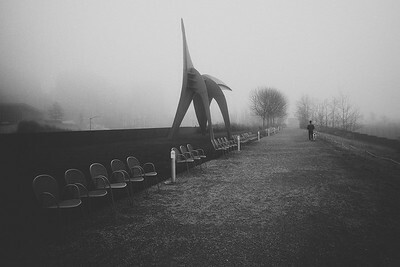 A man and his dog walks past The Eagle, a steel sculpture by Alexander Calder, 1971, Olympic Sculpture Park. 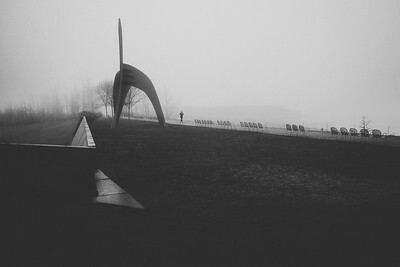 A woman jogs past The Eagle, a steel sculpture by Alexander Calder, 1971, Olympic Sculpture Park, Olympic Sculpture Park. 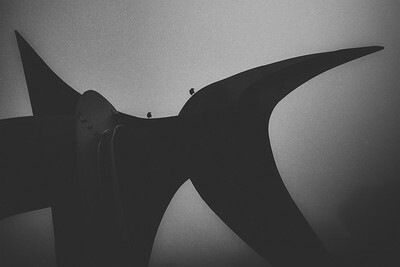 The Eagle, a steel sculpture by Alexander Calder, 1971, Olympic Sculpture Park, Olympic Sculpture Park. 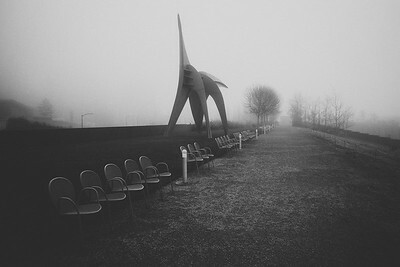 On a foggy morning in Seattle, two crows become one with The Eagle, a steel sculpture by Alexander Calder, 1971, Olympic Sculpture Park.